The summer’s violent protests by white supremacists in Virginia brought virulent racism to the forefront of the American consciousness, perhaps for the first time in decades. But deep down, subtle forms of racism have long been embedded in some of the most influential institutions in the United States. 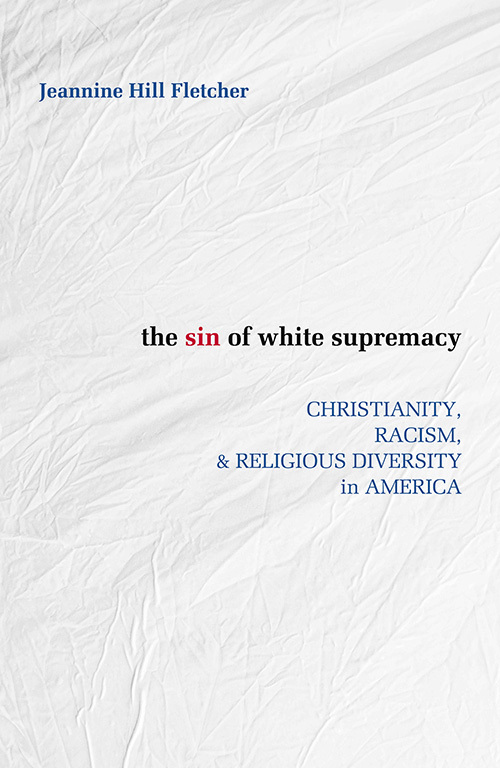 In The Sin of White Supremacy: Christianity, Racism and Religious Diversity in America (Orbis, 2017), Jeannine Hill Fletcher, Ph.D., professor of theology, examines theology’s culpability in perpetuating ideas that elevate both Christianity and whiteness over all else. 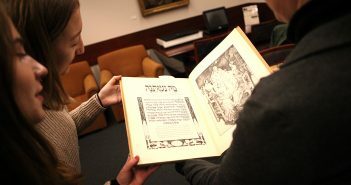 The book was inspired by Hill Fletcher’s work as the faculty director of Fordham’s Service Learning program. As the program sent students to work in communities of color, workshops on racism have been a part of the student preparation, said Hill Fletcher. As a result, she became very familiar with practices, such as redlining, that have led to racialized disparities that continue today. And she began to ask questions about theology’s role in securing rights for some people and denying them to others. “In my studies of the theologies of the religious ‘other,’ I recognized that the ideology of Christian supremacy was actually a piece that informed legislation that dispossessed native people,” she said. Exhibit A for this thinking, she said, is the Doctrine of Discovery, which scholars trace back to documents like those issued in 1493 by Pope Alexander VI. The protocol, which was embraced by European kings and queens, stipulated that if explorers from a Christian nation encountered settlers from another Christian nation in a new land, the new explorers had no rights to it. If, on the other hand, a non-Christian community was present, the Christian nation had the rights to the land—either by force or by purchase. This principle was practiced over several hundred years, and was made government policy in 1823, when the U.S. Supreme Court ruled that Native Americans could never lay claim to ownership of land. Chief Justice John Marshall, writing for a unanimous court, cited the doctrine as precedent for the decision, in the case Johnson v. M’Intosh. “In most cases, you can’t trace a direct cause from something a theologian says to this kind of practical output,” Hill Fletcher said. Although several Christian churches are wrestling with the legacy of the Doctrine of Discovery, the Catholic Church has not yet officially repudiated it, Hill Fletcher said. It still has effects today in the struggle for Indigenous Nations’ sovereignty and self-determination. “I know a lot of white Christians who are upset by what’s happening at Standing Rock, and upset by our segregated communities. But they don’t necessarily see how our Christian patterns over the last several hundred years have created the conditions for those things, so they don’t feel responsible for them,” she said. Even today, Hill Fletcher said theologians inadvertently make white Christian supremacy appear reasonable. Teaching, for instance, that Jesus is the savior of all people can be problematic. “When a theologian teaches that, he is normalizing that to be human is to be Christian, and to be non-Christian is to be somehow ‘other,’ and that people of other faith traditions might be lesser Americans—maybe even lesser human beings,” she said. This has the practical effect, for example, in politicians’ calls to admit only Christian minority refugees into the country. 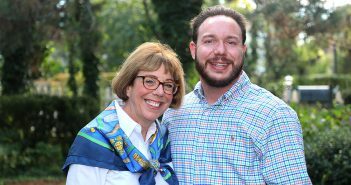 Hill Fletcher said she was inspired by the work of Fordham alumnus Craig Wilder, Ph.D., Barton L. Weller Professor of History at M.I.T. and author of Ebony & Ivy: Race, Slavery, and the Troubled History of America’s Universities (New York: Bloomsbury, 2013). The book’s August release coincided with a week in which large numbers of white supremacists felt comfortable enough to march publicly for the first time in years. Hill Fletcher noted that, although such overt racism is new to the 21st century, the underlying issues are not. “It was a crisis under enslavement. It was a crisis in abolition. It was a crisis under Jim Crow. It was a crisis for the Chinese workers in the 19th century, and it was a crisis for Native American peoples,” she said.